Featuring high ceilings and large, bright rooms, this well-presented five bedroom house offers spacious living and entertaining accommodation with private garden. Chaldon Road is moments from the shops and restaurants found on Munster road and is close to the Green spaces of Normand Park. 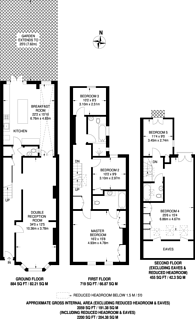 2,200 (204 Sq M) approx.